Your supplied office coffee vending machine will always be thoroughly cleaned and maintained on a regular basis by the fully trained & experienced local owner operator. Regular servicing of the coffee machine can be weekly or fornightly depending on volume consumption in your workplace. Some sites are serviced every few days. Every cup you make... you will be able to hear and smell... the fresh coffee beans being ground ready to reward you with a freshly made café style espresso, cappuccino or café macchiato. Other taste sensation options include hot chocolate, chicken soup or even maybe a decaf. Most small coffee vending machines are Coin operated and some do have an inbuilt water tank, so no plumbing is required. Some sites can have NO coin system fitted and your business can have this option to be paying for the staff and customers coffee or hot drinks, they consume on a monthly billing agreement if you like. 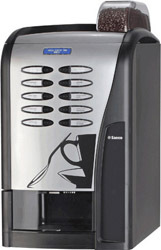 Get your FREE Coffee Vending Machine ...click on the tab "Register for a Free Coffee Vending Machine" now! • Free installation with no fixed contract or ongoing costs...the machine takes money to pay for their drinks. • Totally reliable & refill coffee vending service. 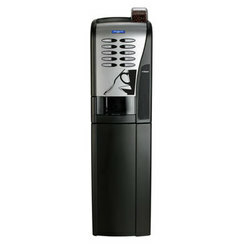 • Large selection of different Coffee vending machines available depending on your place of work requirements. • Available nationally in most areas of Australia. • Enquiring with us is also FREE! Photographs of any of the coffee vending machines that have been provided here are for illustration purpose only. Your coffee vending machine supplied may be different from what is shown.